Are you looking to start your own blog but don’t know how to design your blog or get a theme to create a wonderful responsive blog? Let me share where you can get a WordPress design for your blog post. You can check the following blog themes and customize as per your requirements and ignore the ones that don’t match your criteria. This is the ultimate responsive blog theme for a WordPress blog. Over 49000 bloggers or customers have been already used this theme before and most in demand, you can easily customize this theme as per your requirement. If you are looking for a blog similar to news magazine then Sahifa WordPress theme is the good option for 2018, it has 400+ options to customize this theme. Well-designed responsive theme with a new style is the best for restaurant, foods, and recipes blogs. 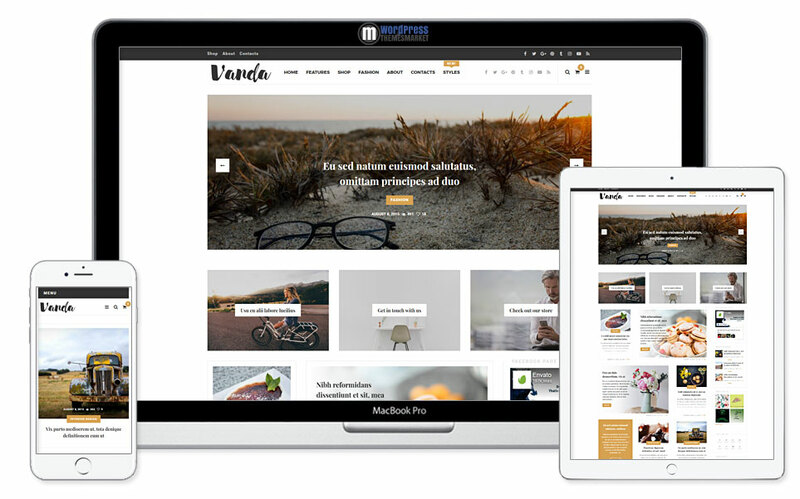 Vanda theme helps you quickly setup manage and publish an effective online magazine. The features makes this theme most attractive and user friendly, fully responsive with drag and drop page builder, powerful social sharing buttons, ads manager and SEO friendly with all required plugins. Wisteria is a responsive WordPress blog theme and has a clean and clear presentation for contents or posts, this theme can be customize for all category bogs but best for fashion, fitness, food, services, SEO etc. You can customize your website with the minimal and simple theme options of Wisteria. If you want to create your website in quickly with modern attributes with awesome features then GreatMag is the best option for you, it has tons of custom widgets, color options, font control and much more. 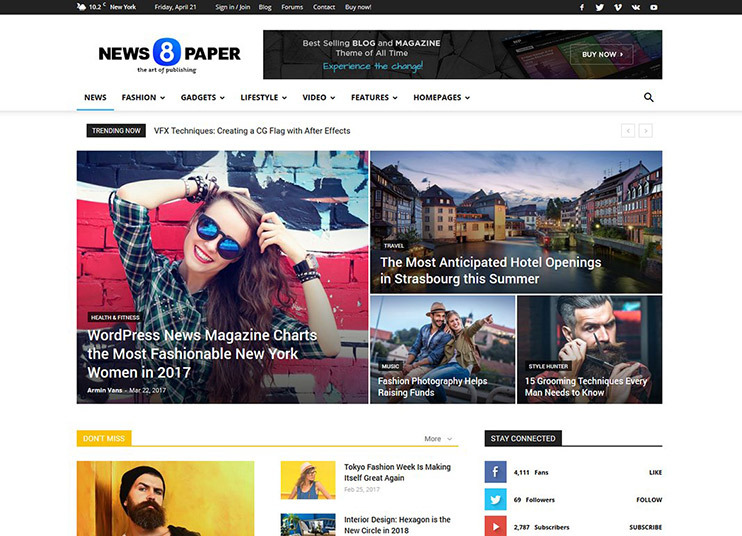 Magazine styled fully responsive theme which is perfect for magazines, news, technology and other content websites. It has a beautiful look which can attract anyone. This theme is also customizable where you can choose the look according to your needs. This theme has been developed using SEO in mind, so that website can easily rank the Google and other search engines. New modern magazine styled response WordPress theme for 2018 available in free and paid version best option for magazine, publishing, business and any kind of blog websites. If you want to setup online Store then this theme can be so useful for you, you can easily install required plugins, add products, setup payment methods and etc..
Jarida is a clean WordPress responsive Blog Template available in free and paid version. This theme has advanced admin panel and has more than 200 options to customize. 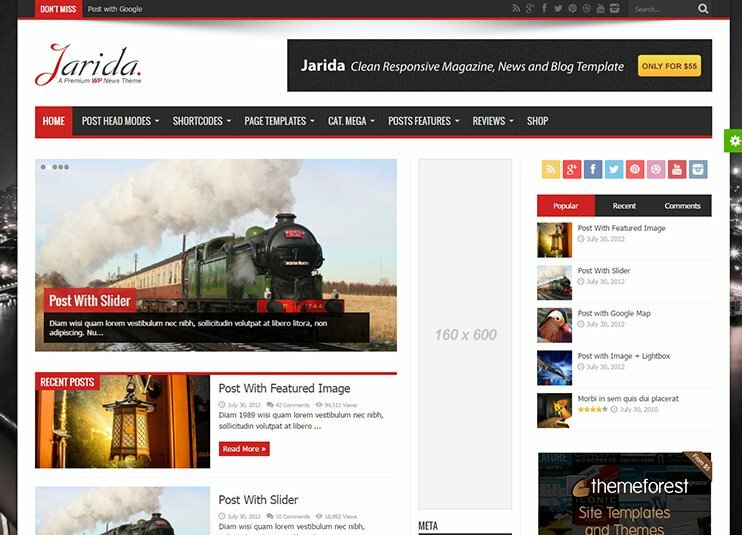 Jarida ensures you that you can create a fabulous website in RTL mode, fully SEO optimized theme for bloggers.